Home English Vijay Devarakonda to become Mega Alludu? 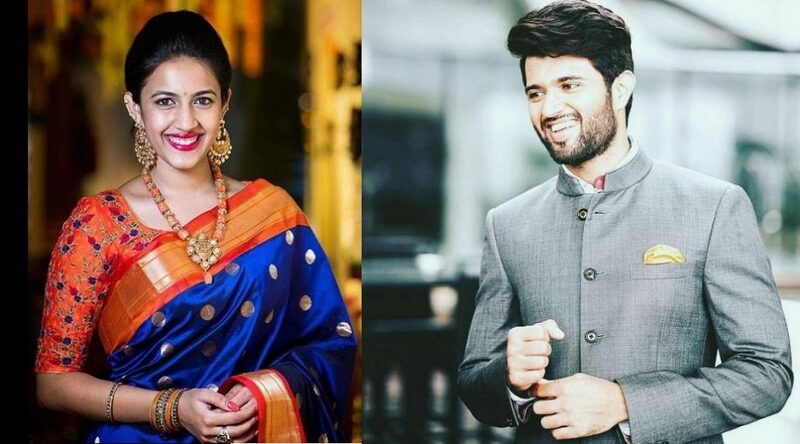 As per a suprising buzz doing rounds in Filmnagar, Vijay Devarakonda is set to marry Niharika Konidela with consent of Mega family. Of course, the pair looks adorable. Vijay Devarakonda’s stardom is skyrocketing with back to back hits. Geetha Govindam that he acted in Geetha Arts banner has been a sensational blockbuster. Allu Arjun has heaped praising on Vijay as self made hero at Taxiwaala success event. Vijay Devarakonda is expanding wings by doing bilinguals. Buzz also has it that he would step in Bollywood with Karan Johar producing a film. As known, Jahnvi Kapoor evinced her interest to pair the Tollywood heart-throb. Meanwhile, rumours are rife that Vijay Devarkonda will tie knot to Niharika Konidela. Chiranjeevi’s household seems to be keen to welcome Vijay as their son-in-law. Nagababu is anyhow busy making satires on Balakrishna. So, Varun Tej would be becoming his brother-in-law. However, there is no official report on this. We have to wait to hear it from horse’s mouth. Previous articleKTR behind NTR not campaigning for sister!